Fire Chief Michael Grant says the conversation about preserving the building distracts from the fact that the city needs a new station. 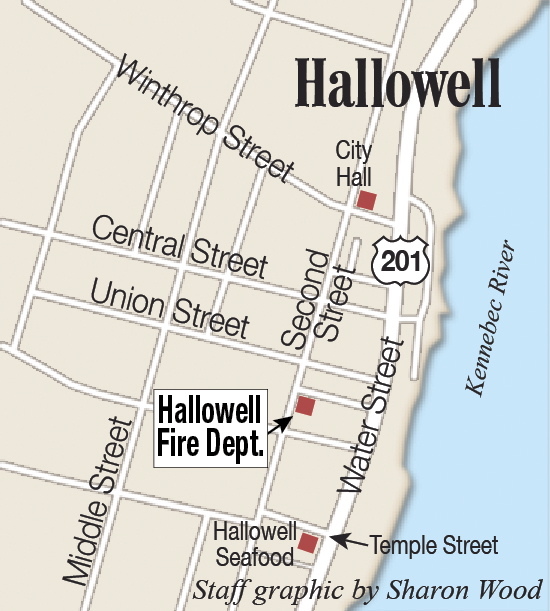 HALLOWELL — A community group says it has raised nearly enough money to pay for plans to renovate part of the city’s historic fire station, but getting the work done will require far more effort. The Hallowell Citizens’ Initiative Committee has more than $19,000 in a city account started to preserve the historic Second Street building, which opened in 1829 as a town hall. Now the building is largely known for the leaning white tower added to it near the turn of the 20th century to dry fire hoses. But Fire Chief Michael Grant says the conversation about preserving the building has distracted many from the fact that the building isn’t suitable for a modern fire department, and that the city needs a new station. Hallowell has spent public money to repair parts of the mostly brick station in recent years, but rooms in the wooden addition — where offices are junk-filled, ceilings leak and some damage remains from a 1930s fire — have been untouched amid uncertainty about the city’s fire protection future. The long-discussed issue has been studied and punted. Now the citizens’ group, established by a City Council resolution last year, is almost ready to spend $21,500 on engineering plans for the wooden structure. But when that money is spent, according to Sandra Stubbs, a member of the group, the group will have to start over again to raise another $43,500 to reinforce a north wall splitting apart near the foundation. After that, a larger goal remains: raising an estimated $500,000 to pay for restoring the rest of the wooden section, adding an elevator and salvaging the neglected rooms. The group is near its initial goal because of a $25,000 pledge from Kennebec Savings Bank. The bank gave the citizens’ group half of that money in July and will hand over the rest in 2015, said Andrew Silsby, the bank’s president. The tower is a relic, one of only a few of its kind left in New England. Hallowell has discussed building a station with Farmingdale, but those talks haven’t gone anywhere in the past year, City Manager Michael Starn said. It would be years away. The city’s debt service picture improves in 2021, when borrowing hundreds of thousands of dollars for a new station could be considered, Starn said. The city of Gardiner has held talks on consolidating services regionally. Grant, the fire chief, said while he supports renovating the building, the focus on it “keeps us looking backwards” when a new building to house his department is necessary no matter what happens to the current station. He shares Councilor Alan Stearns’ worries that Hallowell taxpayers could be “set up for a major investment that the city would have to prioritize over other capital needs” later on if the citizens can’t raise the money. “We need to look at alternatives, including privatizing the building and larger charitable donations, before jumping down a path of public investment,” Stearns said. 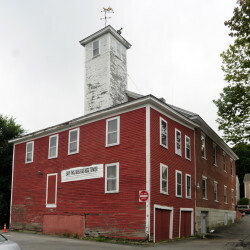 But Stubbs, who sees the building eventually as a museum focusing on Hallowell’s history, featuring many of the Fire Department artifacts already housed there, said she’s not counting on the city’s money and thinks the group can raise it. Members don’t want it privatized, either. “Being a historian, I couldn’t imagine that happening,” Webber said. Mayor Mark Walker supports their effort, and he doesn’t think it could leave the city on the hook. In a few years, he said, the city simply could consider filling any fundraising gap through borrowing. By then, however, councilors could be considering something else: a new fire station. “And that probably would take precedent,” the mayor said.